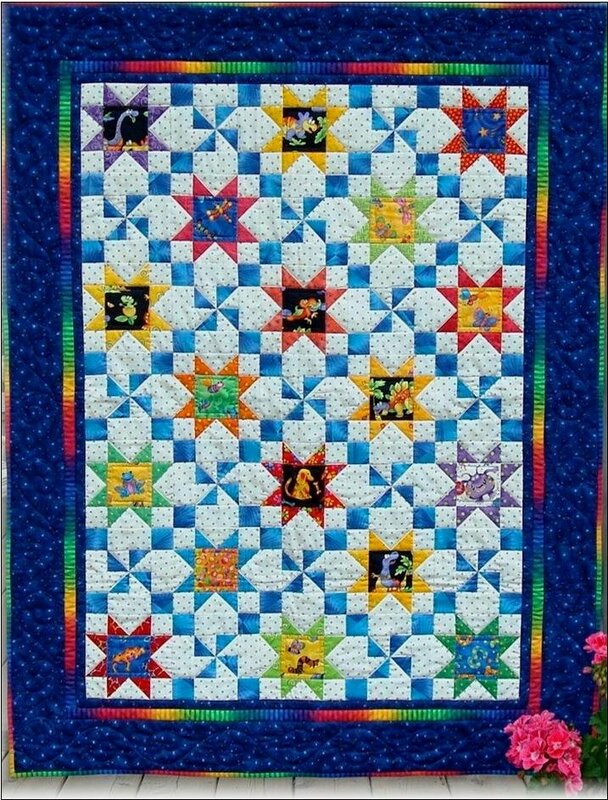 Crib size: 41" x 53"
Twin size: 70" x 82"
Any kid is a star with this quilt! Quilt consists of two simple blocks to make. Another way to use your novelty fabrics. I make all my crib quilts a size that will not require piecing the backing. Directions are easy to follow with color illustrations.